Author: Dailey, Janet Set In . . .
Chase Calder has no recollection of who he is, why he came to Fort Worth . . . or who tried to put a bullet in his head the night that a cowboy named Laredo Smith saved his life. Laredo recognizes him as the owner of Montana's Triple C Ranch—but according to the local papers, Chase has just been declared dead, the victim of a fiery car crash. 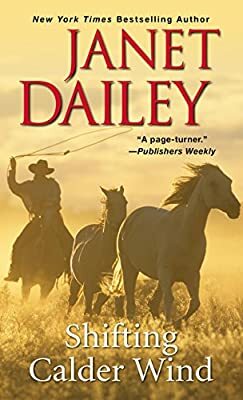 The only place Chase can find answers is at the Triple C . . . and the only person he can trust is his level-headed daughter-in-law, Jessy Calder. Helping Chase brings Jessy into conflict with headstrong Cat Calder, and into an uneasy alliance with the mysterious and seductive Laredo. And when another family member is found murdered on Calder soil, Chase resolves to come out of hiding and track down a ruthless killer . . . before the killer finds him first. . .